And it’s easy to maintain because Program Management Onboard™ cloud-connects via Wi-Fi to ZOLL’sPlusTrac™ AED program management system. No maintenance inspections needed. Available in semiautomatic and fully automatic models. For professional rescuers, the AED 3 BLS model provides an ECG display and CPR Dashboard™ as well as a hardened case. Sudden cardiac arrest (SCA) simply means that the heart unexpectedly & abruptly stops beating. This is usually caused by an abnormal heart rhythm called ventricular fibrillation (VF). The only effective treatment for VF is Defibrillation. However almost equally as often as Ventricular Fibrillation, the presenting rythm is Asystole or PEA (pulseless electrical activity) where a defibrillator would advise “NO SHOCK” and the only effective treatment is good quality CPR. The steps for shocking an SCA victim are simple and straightforward. The AED provides visual and audio prompts required for the entire resuscitation process. The most difficult part is recognising the need for defibrillation. Electrode pads must come in direct contact with the skin. If the chest hair is so excessive as to prevent good adhesion of the electrode pad, the hair must be removed quickly. 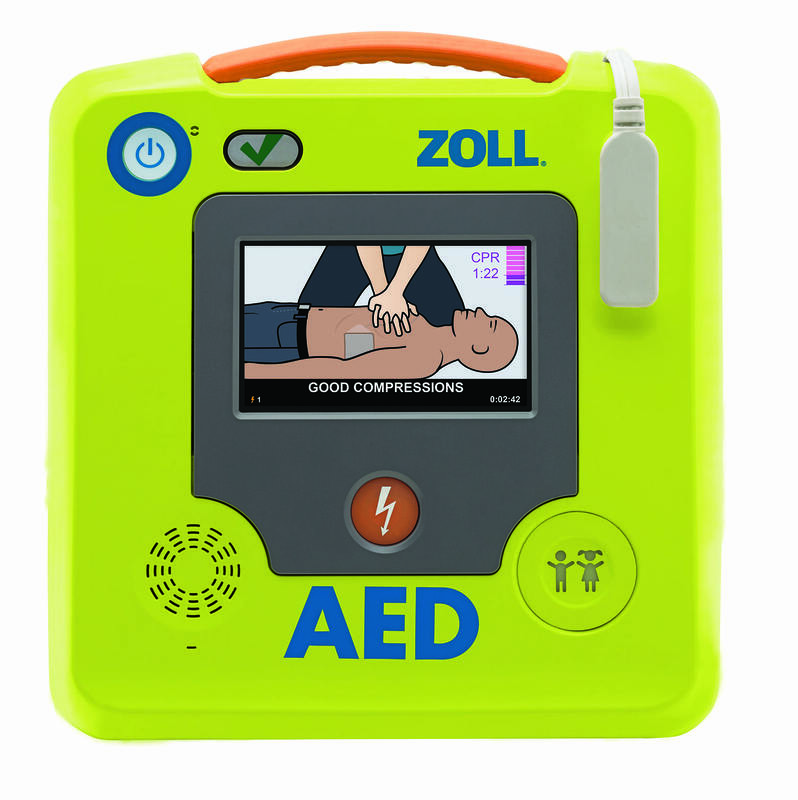 The ZOLL AED’s CPR-D-padz come with a small emergency response kit which contains a disposable razor. SCA is a high stress situation. Even experienced health care providers do not do everything perfectly. In SCA, performing CPR and using an AED can only help the victim. The AED’s are designed to help improve the quality of CPR delivered, which can only be a good thing as far as the victim is concerned.